***Note: Bottoms must be uniform style, no jeans or pants that resemble jeans (outside pockets and/or rivets). Corduroy or cargo pants will not be accepted. 6th grade – 7th grade: White or Powder Blue polo shirt (Must have school logo). 8th grade: White, button-down, long sleeve or short sleeve with school logo and navy blue tie. 9th grade – 11th grade: High School wears white dress shirts, Cardinal Burgundy vest with school logo and tie that is Cardinal Burgundy and plain. 12th grade: White, button-down, long sleeve or short sleeve with school logo and cardinal and black tie (may change for the 2014-2015 school year). **Any vests worn by middle school students must be Navy Blue and have school logo. Shirt - White blouse with Peter Pan collar – Long sleeve or short sleeve with school logo. Skirt or Skort, Shorts- Pleated front must be at knees (knee length). Shirt – White polo (6th – 7th grade only) or button-down, long sleeve or short sleeve with school logo (8th grade – 12th grade). Pants – Uniform style in the prescribed color - 6th – 7th grade can wear shorts and 8th grade pants only. Socks – White, black, brown, or gray. Skirt, Skort- Khaki color, pleated front and must be at knees (knee length). Pants- prescribed color uniform style pants. Vest- Cardinal Burgundy vest with NDCS logo denoting pathway. Socks or Tights – white smooth opaque and/or cable knit tights or white, black, brown socks Tie- Cardinal Burgundy tie (plain), navy blue tie (8th grade plain) or cardinal and gold ( 12th grade only). ***Girls in pathway cohorts CANNOT wear shorts. NO EXCEPTIONS!! Shirt - White, button-down, long sleeve or short sleeve with school logo. Pants – Khaki color uniform style pants. Vest- Cardinal Burgundy vest with NDCS logo denoting pathway Socks – White, black, brown. Tie- Cardinal Burgundy tie (plain) (9th - 11th grade), navy blue (8th grade - plain) or cardinal and gold (12th grade only). ***Ties that are any color other than PLAIN and/or CARDINAL BURGUNDY will not be accepted. NO EXCEPTIONS!! Plain black, brown, gray or white sneakers only. Multi-colored shoes are strictly prohibited. **Shoes that will be approved are as follows: Vans (solid white, black, brown, or black with white sole). Converse (Chuck Taylor) (solid white, black, brown, or black with white sole). Nike (solid white, black, or brown). Shoe strings must also be the same color as the shoes, e.g. black shoes…black strings, white shoes…white strings. ***Note: Any other brand of shoe not mentioned that comes in solid white, black, or brown will also be accepted. White shoes with black stripes or black shoes with white stripes, etc. ARE PROHIBITED. ****Any excuses, including but not limited to, “my shoes are dirty,” “these are all I had,” or “I left them at my sister, brother, cousin or friend’s home” will not be accepted. 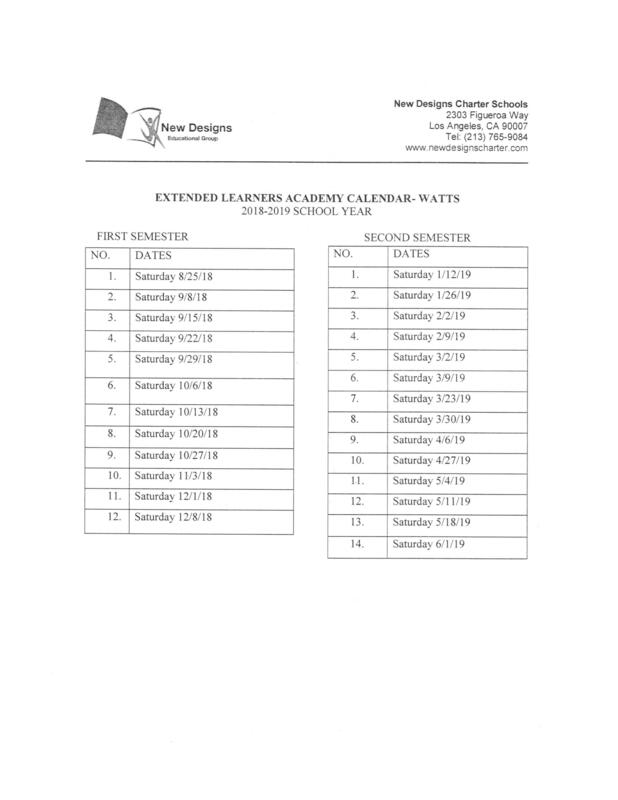 Instructional Calendar for 2017/2018 Academic Year. 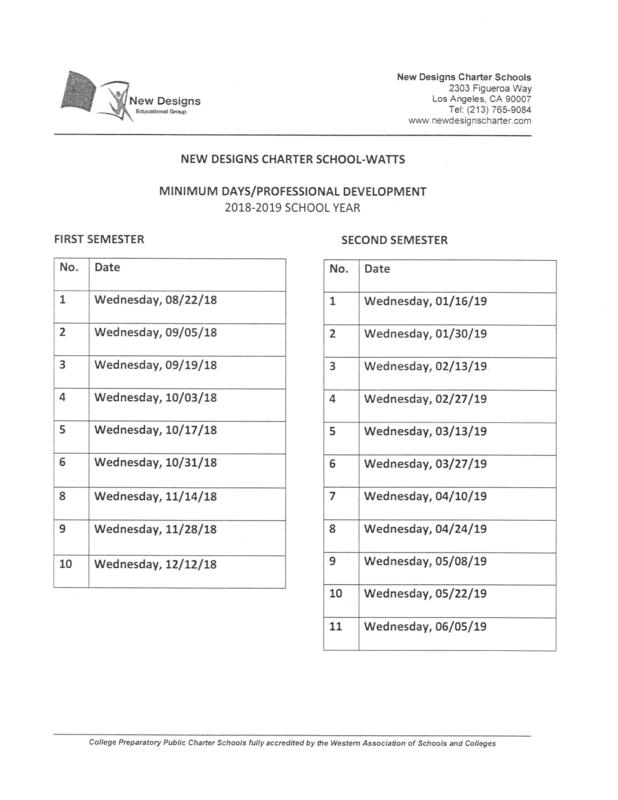 Student Dress Code NDCS - Watts Uniform Policy.